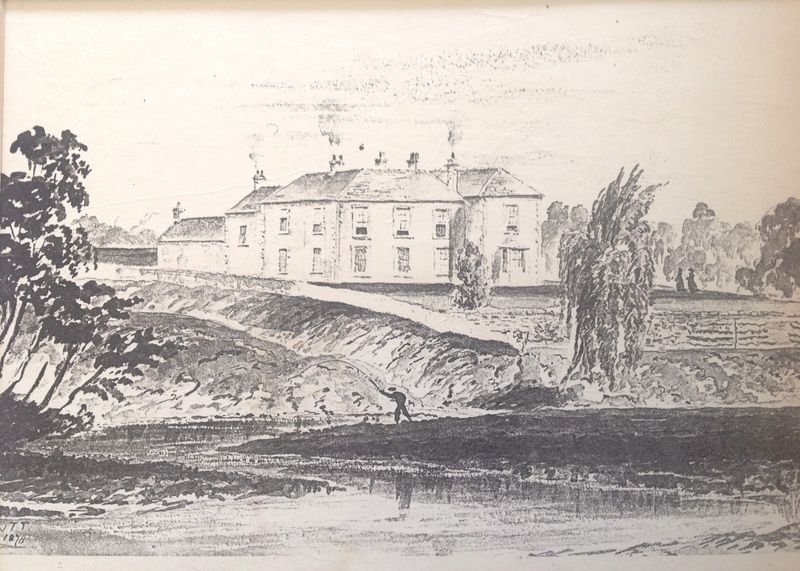 A picture of the Mindrum Garden from 1878, shows that the gardens were limited to what is now the top garden, with a south facing wall for growing fruit trees overlooking the river. Much of what is now the bottom garden, along the Mindrum Burn, was just a grassy gully which appeared to be grazing land. A study of the older maps shows that a mill race left the river here and ran down to Mindrum Mill where it powered the grain mill. In 1927, Mindrum was bought by Charles Chartres, who had started his career as a hydro electric engineer in India. His wife, a keen gardener, and started to develop the garden and in the 1930’s. It is on record that she saw a rock garden in the Chelsea Flower show which she bought and moved to Mindrum, installing it in the grassy gully to the south of the garden. 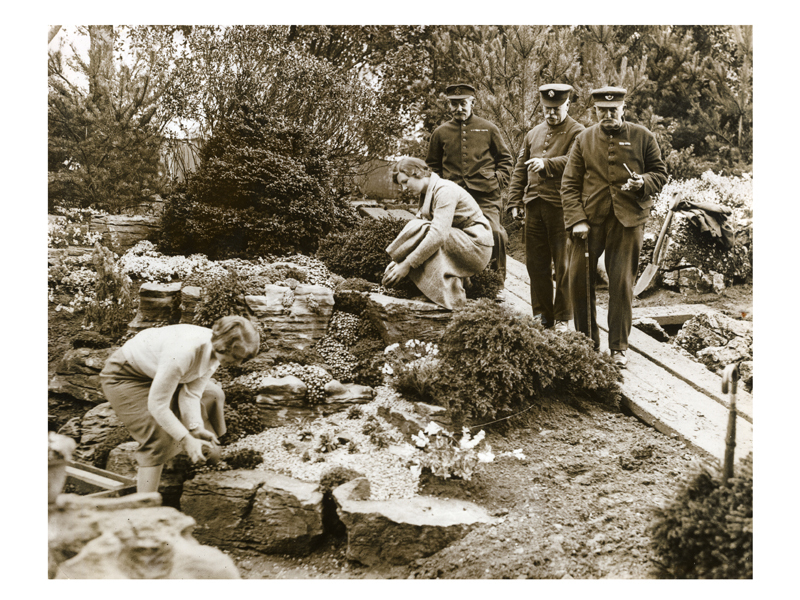 We don’t know for sure, but the attached picture taken at Chelsea in 1935 does contain some familiar rocks – perhaps this is the same stone. 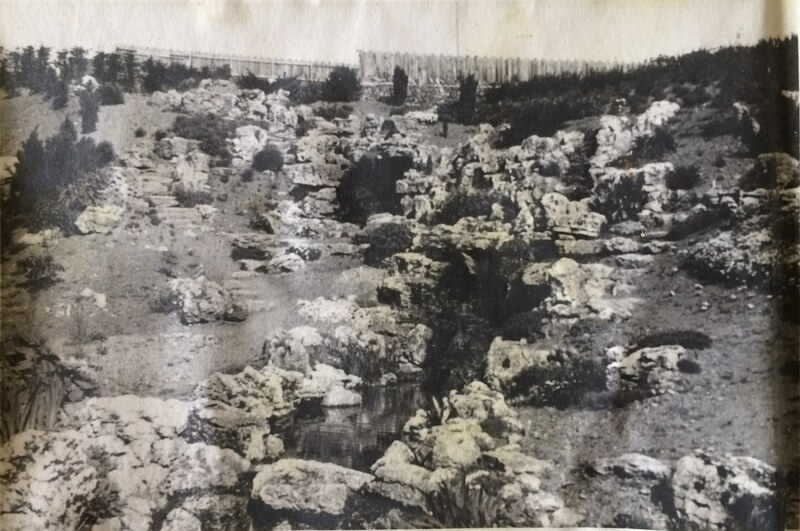 Pictures of the garden that had just been recovered showed that this was a significant piece of work but enabled him to start planting many of the trees we still see today. After marrying Pery in 1965, Ginny became interested in the garden and over the next 5 decades, Pery and Ginny, together, developed the rockery, with Pery focusing on the trees and the ponds and Ginny developing the planting in the borders with an artist’s eye. 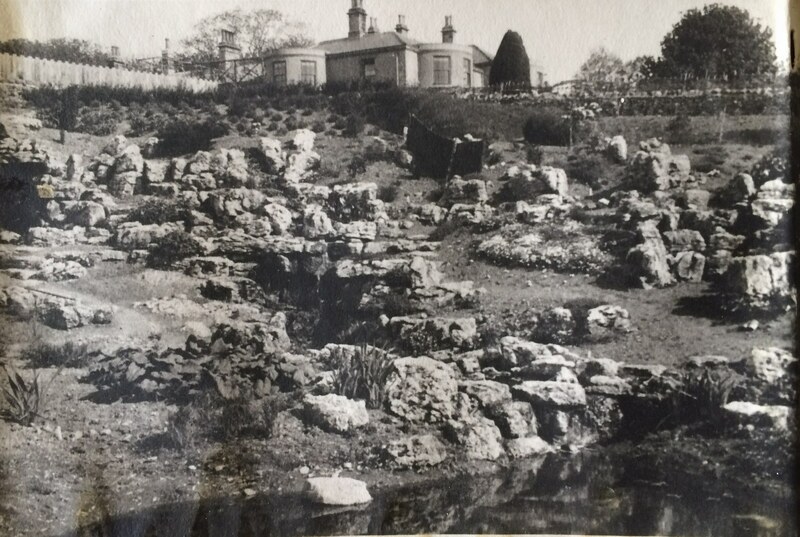 eighty years after its initial layout, the rock garden is still going strong, changing every year and still in good working order, assisted by a vigorous ongoing programme of leak treatment and blanket weed removal!